The Galaxy S2 is a survivor. Samsung released what was the world's best Android phone by some margin in 2011, and the thing's such a Triple-A, five-star, double-thumbs-up stonker that many still use it today, despite mass peer pressure to upgrade to something else every six months. Samsung's in the process of updating the Galaxy S2 to Android Jelly Bean too, meaning most owners should already have a vastly different and improved experience to the one the phone originally shipped with, refreshing and enhancing what was already a seamless and responsive smartphone. On top of that, of course, owners have access to the wealth of innovation, tinkering and enhancements that come via Google Play Store, where all manner of apps can be bought and downloaded for free to breathe more new life into any ageing mobile. So here are 10 top apps to help spruce up the Galaxy S2 further still and bring it nearer today's cutting-edge of Android. If you want to start by completely refreshing your Galaxy S II, installing an alternate launcher is the way to go. This replaces the entire user interface of the phone, meaning you instantly kiss goodbye to all of Samsung's TouchWiz interface tweaks. Action Launcher also gives you an experience that's much closer to the feel of "stock" Android, should you fancy upgrading your S II from the ground up, replacing all of Samsung's fiddlings with the cleaner, more modern Android user interface. For a more customisable way to refresh your Galaxy S II, try this one. Nova Launcher also removes Samsung's TouchWiz tweaks from the phone, coming with masses of options to edit the colours, styles and sizes of its icons and text. Plus you're able to change extremely nerdy things such as the phone's folder content appearance and background, add gesture shortcuts to launch apps, scroll the floating dock's app shortcuts and much, much more. hWiz widgets, if you're now a bit bored of looking at Samsung's take on the interactive Home screen tools. The popular Beautiful Widgets has been doing this extremely well for years, offering a wide range of neat and stylish widgets to pop into you little mobile desktop. And now there's a limited free version available too, for money-free trialling of its approach to Home screen data. 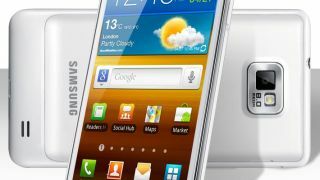 The Galaxy S II arrived with both a standard Android QWERTY keyboard and the flashier Swype gesture input system installed. But rival gesture system SwiftKey is another option to consider, offering word prediction and gesture input – plus it has much more in the way of visual and layout customisation. This includes some landscape display options that let you split the keyboard in half for easier use, loads of themes and its well-known ability to "learn" your typing style by analysing your texts and social media posts. The free trial lets you see if it works for you for one month, after which you'll have to chuck some money at it to unlock the full release. The Galaxy S II had the best camera on it by far back in the day (by which we mean two years ago), and the output from its 8-Megapixel sensor is still better and brighter than that of many of the cameras that come in today's new smartphones. Get even more out of it by installing Camera MX, which, among many, many other features, includes a filter option that lets you create madly fashionable tilt shift images, making people look like toys and cars resemble matchboxes with Smarties for wheels. It also adds filters to images live, as you take them, so you can set up a favourite effect and have it applied to your snaps by default with no post-production fiddling required.